Brownells now offers a full line of name-brand reloading equipment and supplies — all backed by Brownells unconditional lifetime guarantee. The new Brownells reloading product line features Dies, Presses, and Tools from RCBS, Lee Precision, Lyman, Redding, Sinclair International, and many more. Along with reloading tools and equipment, Brownells will offer reloading components (Brass, Bullets, Primers, Powder, etc.) from major manufacturers including Hornady, Nosler, Sierra, Hodgdon, Remington, Winchester, and others. To kick off the launch of its new Reloading product line, Brownells is running a limited-time promotion. For orders containing reloading products, customers can receive a $10 discount on orders totaling more than $99, a $20 discount on orders totaling more than $199, or a $30 discount on orders totaling more than $299. Don’t delay. These special discounts are valid Thursday, August 16, 2012 through Monday, August 20, 2012. Use product codes DRR ($99+), DRS ($199+), or DRT ($299+) during check-out. Share the post "Brownells Now Sells Reloading Supplies — Special Intro Discounts"
The Varmint Hunters Association (VHA) has a very cool feature on its VHA website — a virtual tour of the VHA 600-Yard Range and Clubhouse in Pierre, South Dakota. Special panorama software stiches together dozens of images, allowing you to “walk through” the range, from the Clubhouse lawn down to the 300-yard line. You can “pan” and “zoom” from any location, or you can use the quick-navigation menu to visit the Lobby, Gift Shop, Clubhouse lawn, 100-yard mark, or 300-yard mark. This fun virtual tour is truly the next best thing to being there. It would be great if similar virtual tours were available for other popular ranges such as Camp Perry (OH), Raton (NM), Deep Creek (MT), Sacramento Valley (CA), and Williamsport (PA). After a few seconds, the virtual tour will start rotating (it can make you a bit dizzy). To stop movement, left-click with your mouse anywhere in the view-frame, or hit the “auto-rotate” control in the lower left (globe icon). Use the right/left arrows to move horizontally. Use the up/down arrows to tilt your view vertically — but be careful — hold the up-arrow a bit too long and you’ll be seeing nothing but blue sky. There are also plus/minus zoom controls. When the orange navigation box disappears, you’ll find the directional controls in the lower RIGHT hand corner. You can also restore the orange control box by clicking the left-most “Navigation Info” icon in the lower LEFT. 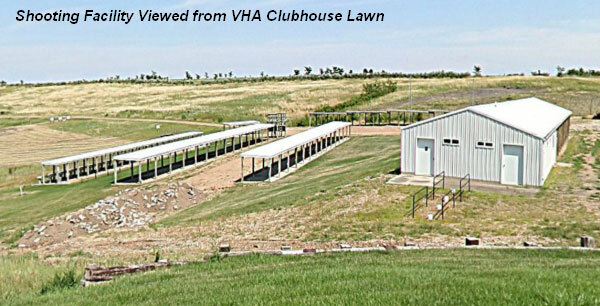 Note: If you want to visit the VHA range in person, during summer months it is open Monday through Friday, 8:00 am through 5:00 pm, and by appointment on weekends. 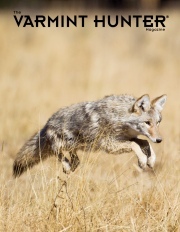 While you’re visiting the VHA website, you can also read the FREE Spring 2012 and Summer 2012 digital Editions of Varmint Hunter Magazine. Both the Spring 2012 and Summer 2012 issues contain dozens of informative articles about precision shooting and hunting. Even if you’re not a varmint hunter, you’ll learn something new about shooting in these magazines. CLICK HERE to read FREE Varmint Hunter Magazine Digital Editions. 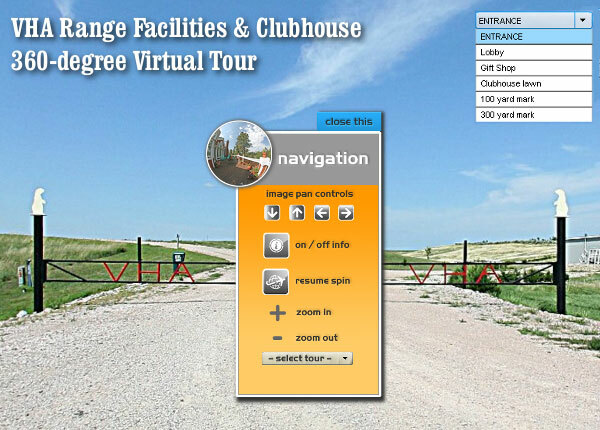 Share the post "Take a ‘Virtual Tour’ of VHA Range and Clubhouse"